Had a great stay. Room was modern, clean and very new. Great fixtures and design. Sharon was a warm host. Breakfast was great too. Only a 5 minute walk to the beach. Would stay again in a heartbeat. Gail was a great hostess with lots of ideas on what to do and the best way to see things. Recommended some great restaurants. Her breakfast was amazing and so much on offer. Room and amenities were very good. Where to find Glencorp hotels near an airport? Where can I find hotels in Glencorp that are near tourist attractions? For those travelers searching for accommodations near Glencorp, there are a few places from which to choose. The center of Glencorp offers 7 Expedia-listed hotels and apartments within a 0.1-kilometre (0.06-mile) distance. Accommodations that are within strolling distance of the Glencorp city center, are the The Glens Hotel and Cullentra House. 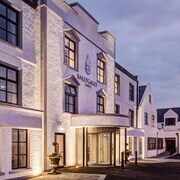 The Ballygally Castle is positioned 25 kilometres (17 miles) away from downtown Glencorp. Another alternative is the Carnately Lodge, which is positioned 16 kilometres (10 miles) away. Some other alternatives around this area are the Curran Court Hotel and the Marlagh Lodge. 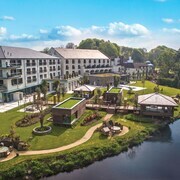 65 kilometres (41 miles) away from Glencorp you'll find Lisburn, where you can spend the day visiting Castle Gardens and Aberdelghy Golf Course. 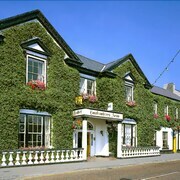 Lisburn hotels include the Dunhill Cottage and Oatlands Self Catering Cottages. 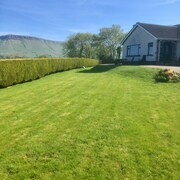 30 kilometres (18 miles) to the west of Glencorp, you'll also find Bushmills, home to the The Bushmills Inn and Causeway Tavern B&B. If you're staying in Bushmills, be sure to visit the Giant's Causeway and Dunluce Castle. Get your sports fix by making a journey to Odyssey Arena, which is 55 kilometres (35 miles) to the south of Glencorp. Book accommodation nearby to the action at the The Merchant Hotel or the Hilton Belfast hotel. Situated 45 kilometres (28 miles) from Glencorp is Campbeltown Airport. 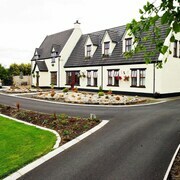 Stay nearby at The Ugadale Hotel and Cottages or Dalnaspidal Guest House. 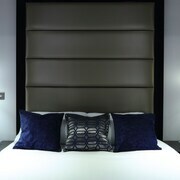 What are the most popular Glencorp hotels? Are there hotels in other cities near Glencorp? 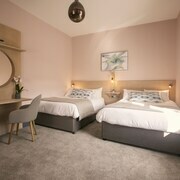 What other types of accommodations are available in Glencorp? Explore Glencorp with Expedia.ca’s Travel Guides to find the best flights, cars, holiday packages and more!